The Sit EZ small wedge is perfect for automobile bucket seats. It greatly improved the comfort and driving experience. The seat cushion works well and many times better than using folded towels or the like. But I was so irritated about being charged about $43 for shipping to Alaska for a $50 item. I had to have it sent to a daughters address in Washington for $4.50 or so. Then she just put a change of address on it for no additional cost. 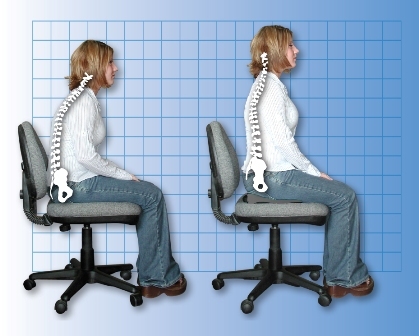 EZ Posture Products: Sorry Mark. The website chose UPS shipping for you on this instead of our standard USPS. My back doesn’t hurt in my jeep anymore. My baby is my Wrangler but seats not so comfy. This cushion worked great. I don’t like it all way against seat back because I feel like I’m slipping forward but if I put it forward a little it’s good. Unbelievable support from a small cushion. I would make it bigger though. A larger pad would be awesome. Works. I love this seat cushion. I have several because I want to have the cushion with me at all times; one that stays in my car, one for business meetings, and one for miscellaneous. I have separate ones for my car and for my chairs in the house. These wedges make sitting so much less painful, and they're super portable. Just try not to lose them at the airport! Nothing else on the market really comes close. Such a simple design really makes the difference. Other wedges I've experienced are bulky and soft to the point that they act like just another cushion, but provide no substantial support. The Sit EZ support Seat lives up to its name. It does not sacrifice support for comfort, but ends up being very comfortable, because of the position in which it allows your body to relax. I highly recommend this product! Sitting is an option again. I no longer shift around in my car seat trying to get comfortable. Driving is now pain-free. My seat cushion comes everywhere with me; the car, restaurants, theatres, planes, school, basically anywhere I go where I will be sitting. There are so few chairs that allow us to sit with optimum posture but these cushions sure fix that problem! Not to mention it takes no effort at all to sit up straight, the cushion does all the work for you! I could hardly believe how straight my back was when I sat in it for the first time, and it takes no effort at all. It actually takes MORE effort to slump!!! I also have no more low back pain while driving which was a constant annoyance before I was introduced to these cushions. Thanks Dr. Porter! I’ve looked for products that support my patients better and there are none.